Posted by Arun Rajagopal in Advertising, Branding, Conversations, Digital, Oman, Social Media. 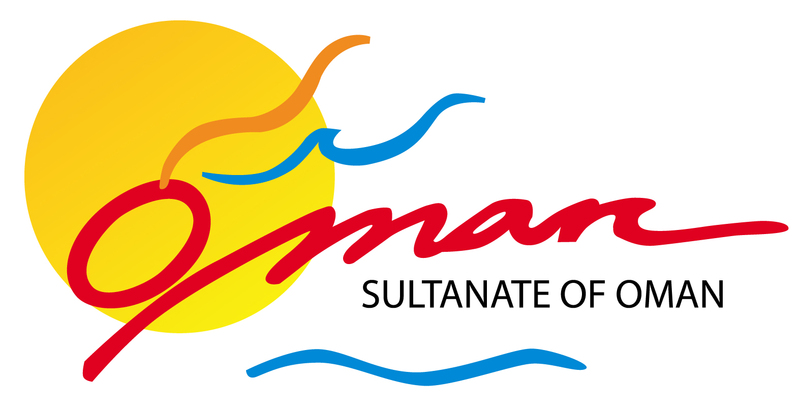 Yesterday, national brand mark of the Sultanate of Oman was unveiled. This logo is an initiative from the Oman Brand Management Unit (OBMU). Firstly, why is the need for Oman to go into national branding? It’s important to project a favorable image of the country, especially after understanding how the country is presently viewed within its borders and overseas. There’s a heightened interest about Oman globally, considering its unique tourism appeal and its relative resilience in the current economic situation. “Now is the time to identify what unique qualities Oman has to offer and balance this with what consumers actually want from us. “Understand our compelling truth and look at what we have — natural resources, beauty, minerals, culture, infrastructure, education, technology — and then match these deliverables to what is really wanted from a global audience. Here’s an explanation of the logo mark on Times of Oman. From what I have seen of the Oman Air corporate rebranding exercise last year, I know that whenever a new logo is unveiled, you have two sides of opinion. Some like it. Some don’t. A lot of local people do not get that the logo mark is calligraphy that reads ‘OMAN’. (I just did a small dipstick survey). People get it when I tell them it is calligraphy and ask them to read for a word. The hues are very refreshing. However, it’s only when you read the rationale that you understand the mighty burdens resting on the humble logo. Some have said the colors are similar to those in the logos of Oman Oil Marketing Co., Nawras and Renaissance Services in Oman. Read some comments in Sangeetha Sridhar’s post in the Digital Oman blog. My point is: there’s no going back to the drawing board. From now on, it’s about how effectively you get the message across different touch points about what Oman means as an international brand. This is the current OMAN logo that is used by the country’s Ministry of Tourism, mostly used for promoting destination Oman. It’s likely the new ‘Brand Oman’ logo will take its place. How do both the logos compare? Also, the new Brand Oman logo will not only be used to promote the tourism aspect of Oman, but also the national, international, commercial, industrial, economic, cultural, sports facets of the nation. I expect this logo to be present on any banner to do with Oman with a national or international purview… from summits, events, activities, campaigns, tournaments, festivals… you get the big picture. It’s very disheartening that the Brand Oman website is not up and running. Please note that it’s www.brandoman.om and NOT www.brandoman.com. In this age of social media, there’s no better medium that digital to reach out your message in a more compelling and conversational manner. I will recommend a URL that does not have ‘brand’ in it. To an end user, the word brand does not mean anything i.e. convey a positive, impressionable attitude. It’s more about ‘OMAN’ than the ‘BRAND’. Assuming you haven’t visited the website, which URL gives you a better image of the country? A new print campaign has appeared in the local newspapers unveiling the logo with a message ‘Our universities are our legacy’. It’s too early to comment before knowing how it will unfold. The challenge in the coming days is how interestingly OBMU will tell the story of Oman to the world. How various communication activities pertaining to Oman that happen across diverse touch points will be synergized to convey a single message, both locally and internationally? How will you bring in the voices of the amazing mix of people that make up this country? All the best, ‘Brand Oman’! At least the old logo was obviously one intended to appeal to just tourists, and made its point. Who is the target group for the brand? Other Arab countries? I would say the new logo is targeted at all audiences, within Oman, in the GCC region and around the world. It’d be harder for international audiences to understand the logo if it weren’t for the descriptor text ‘Sultanate of Oman’. I am no branding expert, but something in the logo just isn’t right. It’s off somehow, but I can’t put my finger on what it is exactly about it that’s off. Is it the weird non-symmetrical pattern? It leads your eye to try to read it from left to right. Even as a person who reads Arabic, I still find my eye starting at the left of the logo because seems to flow to the right. It looks more like sanskrit than Arabic to me. Is it the fact that it looks like gibberish? Or that it needs to be explained? (I mean come on, who has the time?) Or maybe, the cold colors? There’s simply no warmth in the colors. To me the logo is uninviting. I assume they are using the url http://www.brandoman.om because it is going to be the address of the Oman Brand Management Unit’s website, not the website of Oman itself. If I am wrong then, I definitely agree with you that the choice of url is totally wrong. I am amazed how no one in the government has tried use Oman.com or Oman.om as the main address for Oman related web content, especially with regards to marketing Oman as a destination. If I was involved in the branding exercise, I wouldn’t have agreed with the thought process which analyzes the khanjar as a weapon. Most countries only dream of having as strong a national symbol as the Omani khanjar. I refuse to believe that they couldn’t think of variations on the theme. They could have tried to redraw the khanjar, or use it as an inspiration for a new logo. Instead Oman Air went for an extremely generic logo which is apparently based on smoke from burning of incense. Smoke, on a plane?!!!! And now brand Oman is Arabic calygraphy? I bet it was someone in the OBMU who suggested the idea. I can’t accept that a world renowned branding company like Landor would have suggested this idea to Oman. Another thing, I would have marketed Oman simply as Oman, not Sultanate of Oman. That ‘sultanate’ is included in the logo smacks of local pressure. The top half of the logo doesn’t integrate with the bottom half. I assume, that as a responsible agency, it trialled the impact of the logo on well-defined cross-section of the target audience. Didn’t it? Were there alternative designs? Ironically, I read something somewhere yesterday, possibly in a statement from Landor, that the Oman branding is about the people. So why aren’t the people represented in the brand logo? Thank you for your comment, Muscati. Very interesting observations. One of the greatest truths in advertising & branding is that the work that is done by the experts will ultimately be reviewed by the end users, customers, public, laymen… whatever you may call them. Because the work is ultimately meant to serve them a purpose. That’s where the finished product has to face the litmus test! Again, with reference to the usage of ‘Sultanate’ – it’s very likely this logo will have more applications in geo-political & commercial contexts than tourism. May be it was a conscious decision to retain that identity. Here’s an interesting catch: should http://www.brandoman.om be the website of OBMU? Not in my opinion. They should have a website that would be http://www.obmu.om. What they have created – Brand Oman – is bigger than OBMU itself. Also, a country needs to have different URLS / websites for different purposes… a good example is the USA. While tourism can be visitoman.gov.om, e-governance can be egov.oman.om, ministry of health can be health.oman.om and so on. Oman.om can be like the ‘mother ship’ or the portal / gateway that leads to all the other web channels. The Khanjar is a very powerful national symbol. But don’t you think it’s better understood by people who live in Oman than people overseas? Mozambique has an AK-47 on its national flag… now assuming that one has no clue of how things work in Mozambique, what is the first impression one gets on seeing the national flag of Mozambique? My little research on Mozambique’s flag tells me that attempts to change the flag without the rifle have met with great resistance from the people. At least 169 proposed changes to the flag have been rebuffed since 2005. The rifle symbolizes the nation’s struggle for independence & determination to protect its freedom. What’s so negative to a foreign eye may not be the same for the native eye. I’m not saying that the frankincense smoke is a better symbol vis-a-vis the Khanjar, but I’m saying that there are always decisions that are taken that go beyond the conventional black-or-white way. There is a saying in journalism: Either you convince the audience or confuse them. I think the logo does the latter. Well I’m glad they explained that one. How many people are going to say when looking at the logo, hey, that purple is a dhow, or wow, that aquamarine is a turtle! And the mountains don’t have that colour blue. Sorry. I’m not into semiotics. I shared the table with Sangeetha yesterday. My thoughts on the logo – firstly, any nation brand mark, is in a way a corporate logo – its the substratum on which the independent ‘tourism’ or ‘education’ or ‘investment’ logos are to be built upon. The warmth of the sun, sand etc etc can come in the tourism logo (I hope they do bring it in though, otherwise it would not really be evolutionary and too much of ‘new born’). I agree and disagree with Muscati on two counts- yes there is something odd about it and I think its the choice of colours which excludes the earthy brown hues. To my mind the earth shades juxtaposed with the aquamarine blues is what Oman in all its visual splendour immediately comes across as. Also I too belive abandoning the khanjar since it is a weapon is an over-reaction and childish- would you change the crest of Oman too just because it has weapons in it. But I dont agree with the observation that the eye movemnet is from the left to the right- in fact the puple dhow curve on the right actually leads you in. And the Sultanate added to it somehow brings a unique majestic touch to it! I think its a great step forward and must have involved alot of effort. Kudos to the team for understanding the need and conceptualising it. Way to go! And Arun you are right- brandoman is a funny url- especially when on the day after launch it does not work. But to risk repeating myself, as per the official from the Ministry of Tourism who was on the same table yesterday, this is not the tourism logo – The tourism logo will probably have a slogan and will build on this one. Storming, Forming, Norming and Performing over time.. In a sense we are all right now storming our thoughts and understanding but sooner this will become the norm. The expected effect will happen only when the Brand – Performs as it Promises.